New Hampshire authorities say a couple hiking the Appalachian Trail who were overcome by 60 mph wind, rain, and fog were helped by their personal locator beacon and a passer-by with a tent. Conservation officers first heard word of an alert from four hikers on Thursday from a rescue coordination center in Montgomery, Texas. 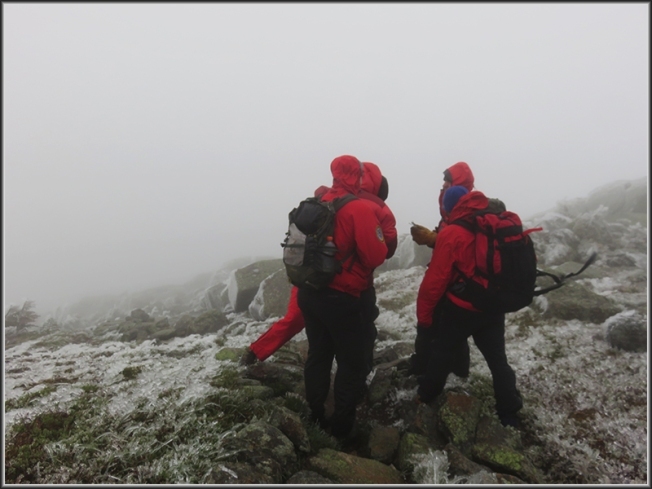 The beacon's coordinates put the hikers on a Mount Lafayette trail, but rescuers were unable to reach them at the cellphone number provided. Rescuers set off to find them. Another hiker eventually found the couple shivering and unable to move, and got them into a tent. The married couple, identified as 69-year-old Gregory Reck, and 57-year-old Lelia Vann of Norfolk, Virginia, said two other hikers had separated from them to make shelter. Eventually, rescuers reached them.